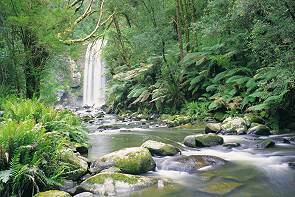 A group of young people use portals to recover ancient powerful artifacts. 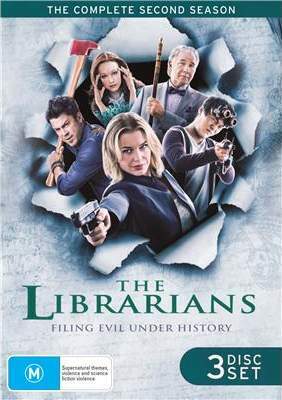 I'd only ever seen the movies so was a little surprised to see that The Librarians had been made into a TV series. Never having season 1, I wasn't sure what to expect with season 2, but I figured since there WAS a season 2 it must have been relatively successful. I received the opportunity through Ali Kayn and Festivale Online Magazine to review this season via a streaming option from Icon Film Distributions website. Watching the season, I was immediately reminded of Warehouse 13, but aimed for a younger audience. Interesting in its own right but vaguely odd. The season at least had a story arc that was pretty well fleshed out and kept me watching to see how it panned put. The introduction of "fictional" characters as real people was an interesting idea and the explanation for some even better. The season follows the return of the Library from some mysterious void, but not completely, as rooms are either missing or wandering. The introduction of Prospero and Moriarty as recurring villains was a bit of fun as well. The interaction between Moriarty and Eve and the decisions Eve has to make during the course of the story arc kept me watching. Some plot elements were telegraphed and simplistic, but still, relatively interesting. If you have the original movies and Season 1, quite probably a good addition to your collection.